After my shopping spree at the Farmer’s Market on Saturday, we no doubt had plenty of fruits and vegetables to cook for our usual Sunday dinner. As I have mentioned several times before, we typically go big or go home on Sunday and eat leftovers for a good part of the week. This week we had friends over to join us. The weather was great, so we also got the grill out. Prior to our guests coming over, we set out a few snacks. The hardest part about anything that we made was cutting things up. 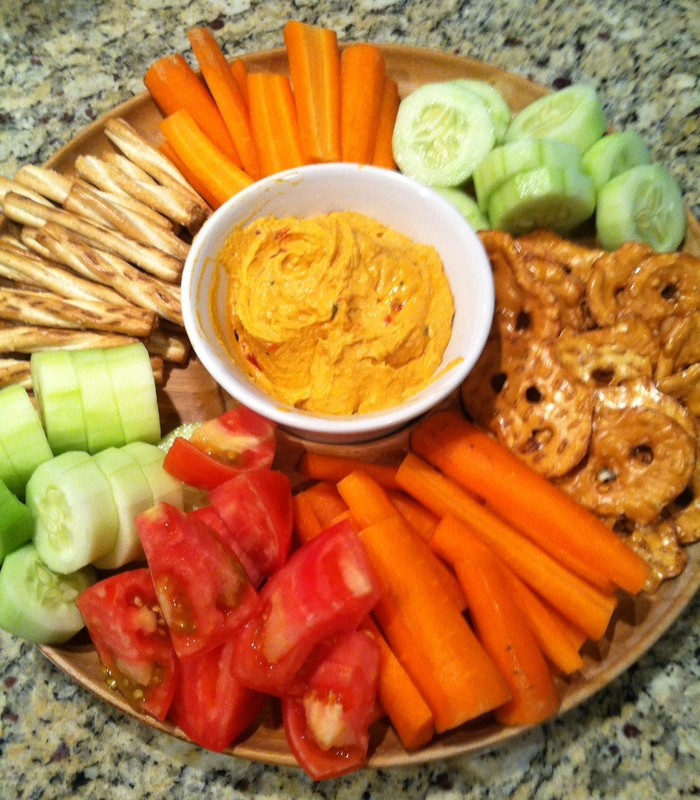 It is so easy to chop up a few colorful raw veggies, add some pretzels or crackers, and center it all with a healthy dip like hummus. 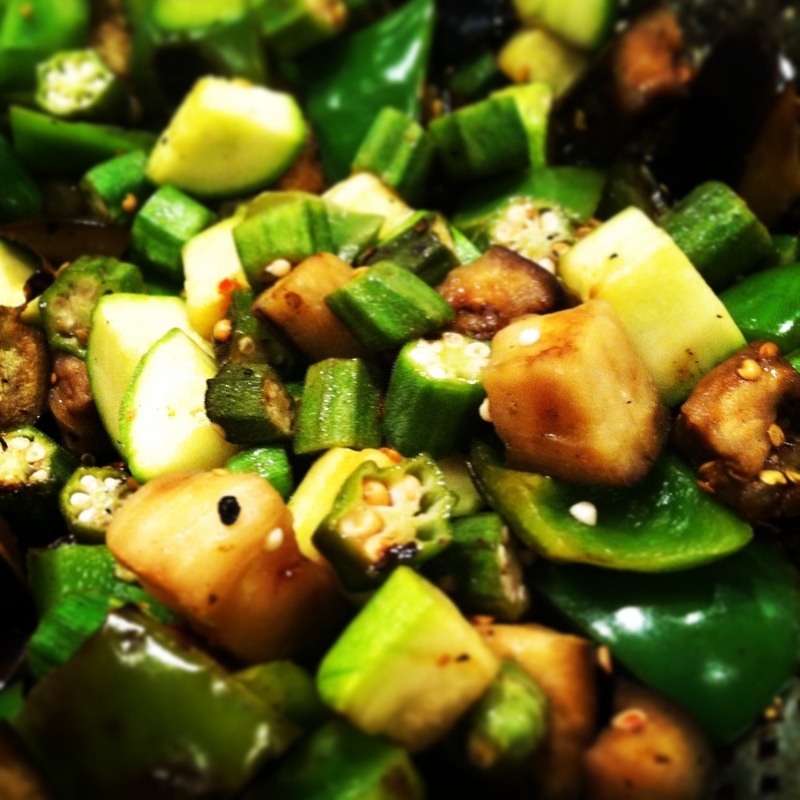 I mentioned that I was going to share with you my okra recipe. Well, it is really not a recipe, but a quick way to get some flavor out of several veggies. For our wedding, we registered for a grill basket. 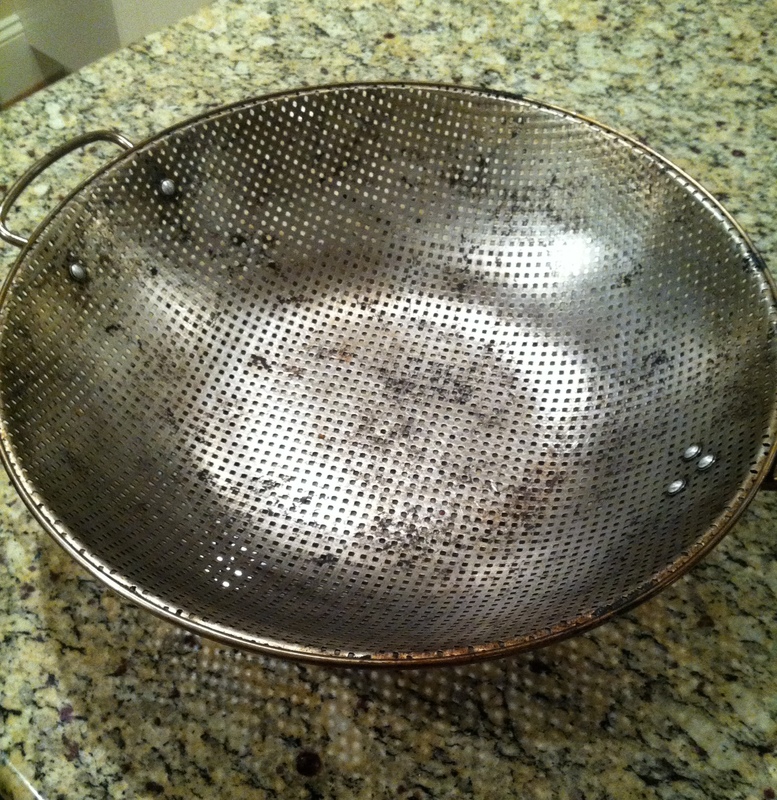 During the spring and summer this is one of our most used kitchen supplies. You can tell it has been well used. That’s it. Wash all of the vegetables. You don’t even have to peel them. Chop the ends off of everything before dicing them up into pretty chunky pieces. Once you have everything cut up, throw all of it in a plastic bag and dump a little bit of italian dressing, salt and pepper in the bag. Toss the bag around (entertain baby). Throw the bag in the refrigerator until you are ready to grill. Once you get the grill going, just throw the veggies in the grill basket. You just need to toss the veggies several times to keep them from sticking to the side. If you don’t have a grill basket, this can always be done in the oven. Let me know what you think. As the season changes, you can rotate different veggies out. 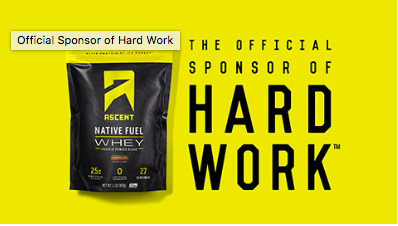 Monday workout – The baby was up early again, but went back to bed. I had too much on my mind to go back to bed (hence why this post is early and I also got a workout in). Minimal equipment today. I did use a kettle bell for some stuff, BUT I didn’t picture it here because I wanted you to know you don’t need to use a kettle bell. You also don’t need to use a Bosu ball (see modifications below). I realized last week that i need to do more glute work. 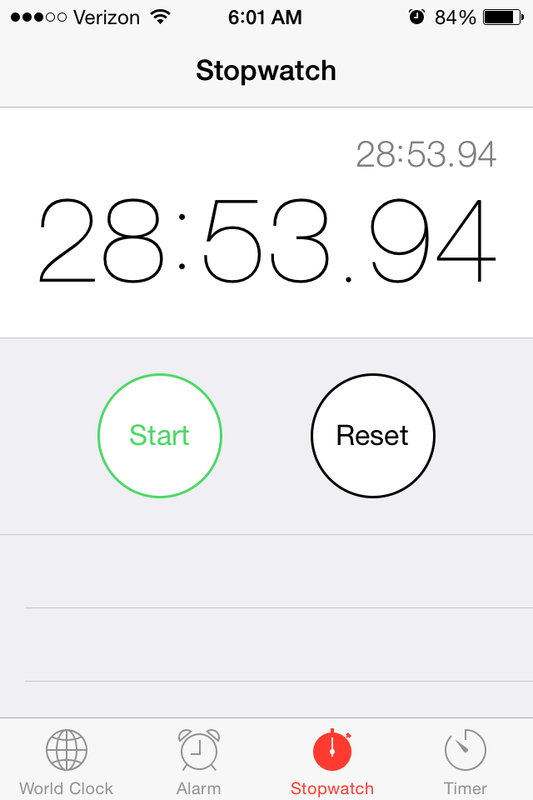 This workout was tough, but still in the 25-30 minute range. I started my watch when I started my warmup. I proceeded to move from one exercise to the next, completing the mini circuit three times. 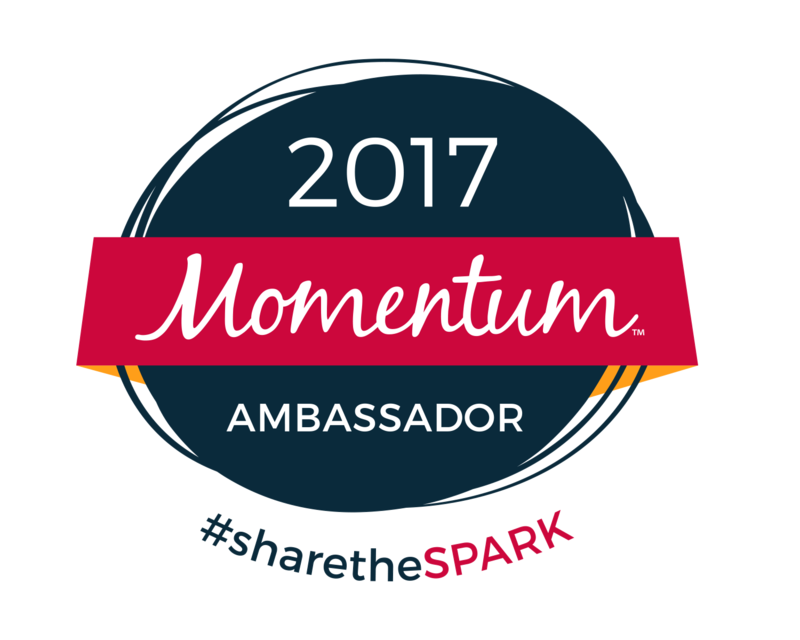 Warm up – As usual, I started with a slow walk in place, gradually increasing the range of motion in my legs and arms. Once I got to a slow jog in place, I did 30 second of high knees. This got my heart rate up a little. I stopped and did some side step toe touches, 20 jumping jacks, and 20 deep body weight squats before I went straight into the circuit. 1. Kettlebell Squats with step out– I started with a moderate weight to make sure that I was warmed up enough. For the second and third time through the circuit I went up in weight. Feet together, hold kettle bell with both hands at hip level. Step your right leg out to the right side. While lowering into squat, take weight towards floor. Squeeze glutes to push back up to standing position with both feet together. As you are coming back to starting position raise the kettle bell with both hands in front of you to shoulder height (it is a swinging motion). Repeat on left side. Really focus on keeping your back flat. Do 12-15 each side, alternating sides. Modification – Use a dumbbell, medicine ball, or body weight. 2. Bicep curls – Good old fashioned, non-technical bicep curls. My heart rate was still up from the previous motion, so I didn’t want to do anything risky here. Standing, feet together, hold one dumbbell with each hand down the side of your body, palms facing each other. Raise dumbbells and slowly lower back after a short pause. No jerking. Control. 10-15 total. 3. Sprinter Sit up – I wanted to do a core exercise here that didn’t utilize equipment. Start laying flat on your back, legs straight, and arms by your side with your elbows bent at 90 degrees. In a powerful quick motion, sit up, twist your upper body to the right and bring your right knee toward your left elbow. That’s 1. Do 20 each side. Think quick and powerful. Who knew that you could get out of breath doing sit ups? 4. Alternate Mountain Climber on Bosu with Bosu Burpee – This exercise was a circuit in itself (and HARD). Honestly, I tried to switch the order for one set to see if it would be easier, but it’s not. Repeat the two exercises above before moving to the number five. 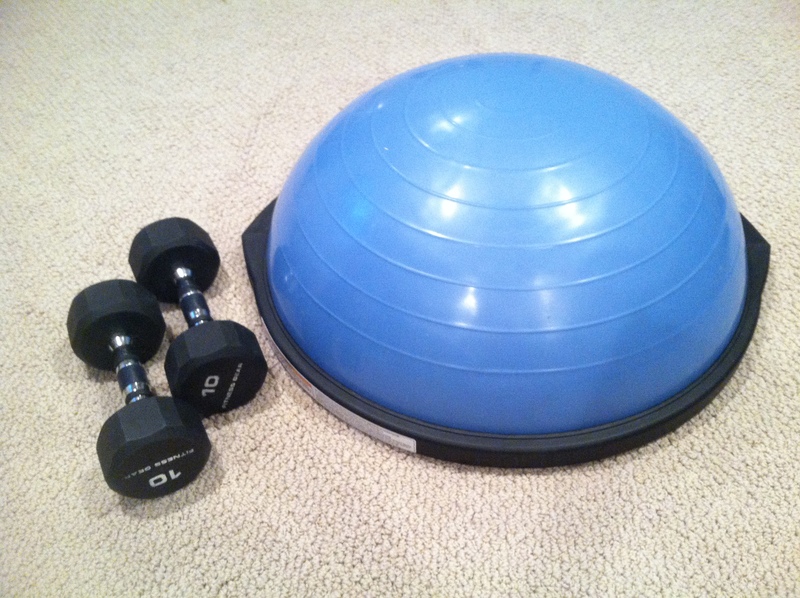 Modification – Remove the Bosu from both exercises if you don’t have one. Both can be done on the floor. If you don’t like burpees, do something that will get your heart rate up (high knees, run in place, tuck jumps) and follow with your push ups. 5. Weighted Kick back/fire hydrant – Start in an all-fours position. Place dumbbell behind your leg where your knee bends (you should be able to hold the dumbbell in place when you perform both exercises). First part of exercise, flex the foot that is holding the weight and kick your heel back and up. Don’t extend the leg. Keep it bent. Do 10. Next up, fire hydrant. Bring your leg back to starting position. Keeping knee fixed at a right angle, raise your leg out to the side. Do 10. Repeat on opposite leg. 6 – Side Pushups (triceps) – Lie on right side with left hand flat on floor in front of shoulder, elbow bent. Wrap right arm around rib cage. Using left arm, push your torso up until arms is straight. Lower upper body until should is about an inch from the floor. Do 10 each side. This entry was posted in food, Uncategorized, workout and tagged body weight, circuit, eggplant, farmers market, green peppers, okra, vegetables, weight, zucchini on April 7, 2014 by flyjenduf.